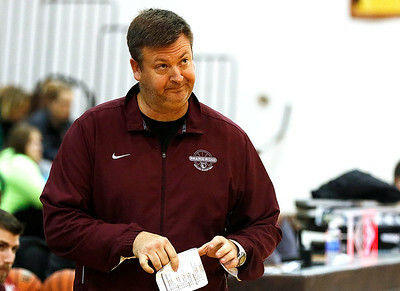 H. Rick Bamman - hbamman@shawmedia.com Prairie Ridge head coach Corky Card watches his players against Huntley in the Hinkle Holiday Classic on Tuesday, Dec. 22, 2015. 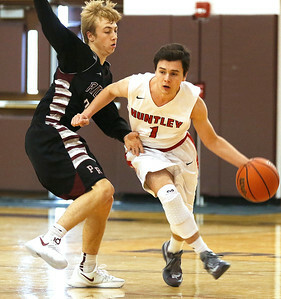 H. Rick Bamman - hbamman@shawmedia.com Huntley's Jamieson Allare (right) drives past Prairie Ridge's Logan Card in the first half in the Hinkle Holiday Classic on Tuesday, Dec. 22, 2015. Prairie Ridge won 66-61 in overtime. 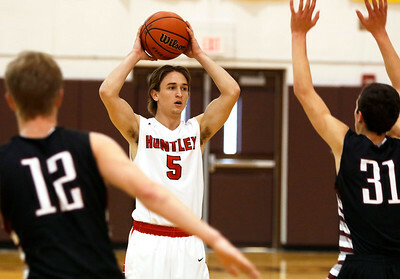 H. Rick Bamman - hbamman@shawmedia.com Huntley's Alec Coss looks for an open teammate as Prairie Ridge's Payton Otto (12) and Brian Dorn defend in the first half during the Hinkle Holiday Classic on Tuesday, Dec. 22, 2015. 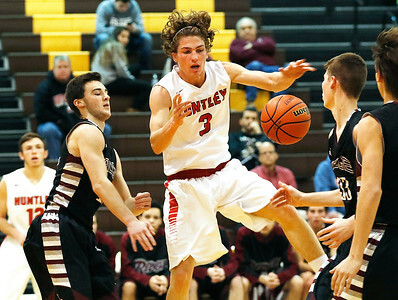 H. Rick Bamman - hbamman@shawmedia.com Prairie Ridge's Brian Dorn (front) drives past Huntley's Alec Coss in the first half during the Hinkle Holiday Classic on Tuesday, Dec. 22, 2015. Prairie Ridge won 66-61 in overtime. 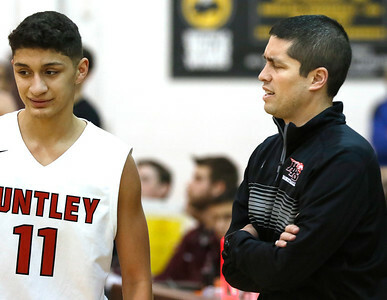 H. Rick Bamman - hbamman@shawmedia.com Huntley's Jadrian Flores and coach Will Benson talk during a time out during the Hinkle Holiday Classic on Tuesday, Dec. 22, 2015. 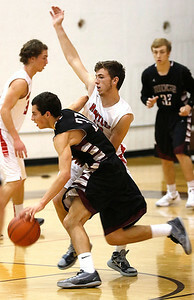 H. Rick Bamman - hbamman@shawmedia.com Prairie Ridge's Cory Lamb (left) slaps the ball away from a driving Danny Spoeth of Huntley in the first half in the Hinkle Holiday Classic on Tuesday, Dec. 22, 2015. Prairie Ridge won 66-61 in overtime. H. Rick Bamman - hbamman@shawmedia.com Huntley's Olalere Oladipo (back) and Prairie Ridge's Cory Lamb position for the rebound in the first half in the Hinkle Holiday Classic on Tuesday, Dec. 22, 2015. 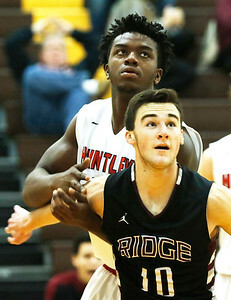 Prairie Ridge won 66-61 in overtime.